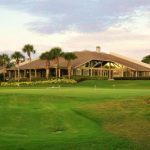 Bloody Point is an oceanfront golf community on Daufuskie Island, SC, located between Savannah, GA, and Hilton Head Island, SC. Dafuskie is a beautiful Lowcountry coastal barrier island that is served by boat access only. Many believe its limited access has helped preserve the Island’s unique qualities and characteristics. However, this community features an under-performing golf course in a regional market that is oversaturated with golf. The course is a core golf course with real estate located around the perimeter of the 180-acre complex. It would be no small decision to turn away from this high-quality, but struggling golf operation. However, a new direction was needed and approved. The new plans now call for the closure of the course and the conversion to a series of open spaces and linear parks with meadows and bicycle and pedestrian trails that will buffer existing homes and real estate. A sample master plan targeting areas of change. Another aspect of the plan has the existing Inn at Bloody Point expanding to include 60 rooms overlooking the Atlantic Ocean. Another 150 small casitas would be created for those who want a unique hospitality venue that would be an exciting alternative to coastal resorts on Hilton Head Island or in Savannah and the surrounding region. In addition, this more nature-based setting will include a mixed-use village core with local art galleries, farm-to-table restaurants and convenience shops. Historic tours of the Island, boating, wind surfing and paddle boarding, kayaking and biking, in addition to a beach club with swimming pool and ocean-view wedding pavilion, are all on the list of new activities. Water lovers are at home here. Bloody Point has a Planned Unit Development (PUD) zoning classification which required a zoning map amendment. Plans to amend the zoning were well received and supported by the Property Owners Association. The Beaufort County Council agreed with their vision, and approved the zoning amendment which allowed the new land uses to be added to the community. In the end, it was an understandably difficult conclusion for members to realize that the golf operations could not work at their location. But eventually they were excited to see that the community could diversify its amenities and broaden its appeal to multi-generational buyers. A natural setting means access to the outdoors, water. The community also learned that the secret to following this path is with careful planning along with open dialogue with property owners and local zoning officials. Ultimately, the addition of new amenities will help Bloody Point make a successful transition from a golf community to an active lifestyle community that will endure for generations to come. Editor’s Note: Is your community a candidate for conversion? If you want to ask the land use experts at Wood+Partners how your community could benefit from the evolving conversion trend, click here.